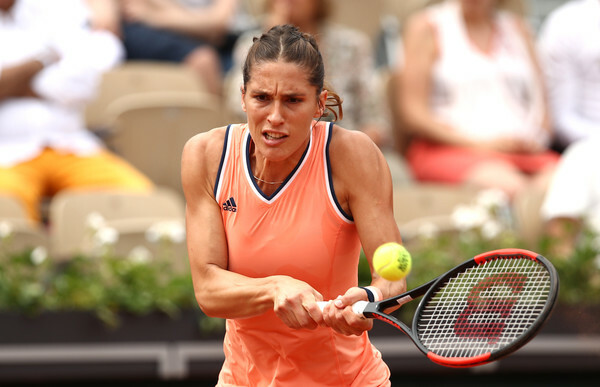 Andrea Petkovic clinched a huge victory as the former top-10 ousted home favourite Kristina Mladenovic 7-6, 6-2 in the opening round of the French Open. 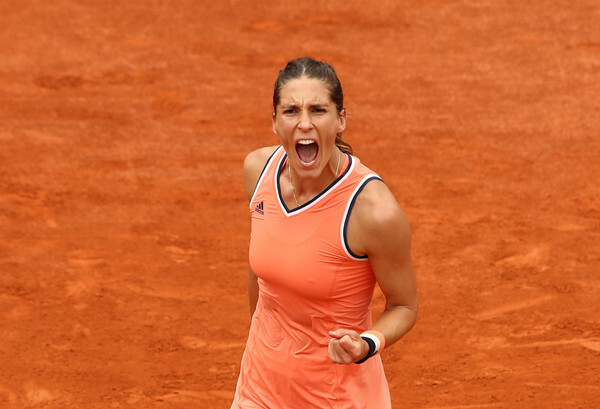 It is an extremely confidence-boosting victory for the world number 107 Andrea Petkovic after she defeated home favourite and 30th seed Kristina Mladenovic in a blockbuster clash between former top-10 players in the first round of the 2018 French Open. Retrieving from a break down and saving four set points in an epic first-set tiebreak, Petkovic claimed the biggest win of her lacklustre year, moving onto the second round having reached the semifinals back in 2014. This was just Petkovic’s second main draw win of the year, with her first coincidentally being a marathon 10-8 victory in the final set against Petra Kvitova in the opening round of the Australian Open. The German will now face either the resurgent Bethanie Mattek-Sands or Nuremberg champion Johanna Larsson in the next round. It was a booming start for the home favourite as Mladenovic came out of the blocks firing on all cylinders, claiming the opening two games of the match. The Frenchwoman was looking in top form as she aimed to impress herself in front of the partisan home crowd. Rattling off eight of the first 10 points, Mladenovic was determined to earn the statement victory. However, as the match progressed, Petkovic slowly found her groove and adapted to the tricky conditions. This was shaping up to be a thrilling contest as the German was able to match Mladenovic’s power and consistency at the baseline and finally earned her reward after being the more aggressive player and prevailing in a tough game to level the scores. The servers were having it their way as the returning player was unable to find a breakthrough, thus extending the set into a tiebreak eventually. The hard-hitting contest was extremely high-quality with both players contributing to a bulk of impressive winners. The tiebreak seemed one-sided, though, as Mladenovic stormed to a commanding 6-3 lead within a blink of an eye after Petkovic’s aggression backfired on many occasions. The Frenchwoman struggled at the sight of the finishing line — throwing in a double-fault before pressure bounded her hands on the return. Petkovic made a stunning comeback and continued to stay toe-to-toe with Mladenovic, but a forehand into the net allowed the underdog to steal the opening set 7-6 after an hour and three minutes of play. Petkovic’s tactics were working incredibly well — controlling the proceedings at the net and keeping Mladenovic at bay. The former top-10 player won 66 percent of net points throughout the match. The Frenchwoman produced a great effort in the opening game of the second set by fending off triple break points but lady luck did not fawn over her as an accidental mishit forehand gifted Petkovic with the break. Everything was going Petkovic’s way as the German was riding on her unstoppable momentum, consolidating the break in comfortable fashion before extending her commanding lead to 4-0. Nonetheless, Mladenovic soon regained her rhythm on serve and got on board with two consecutive love service holds. Serving for the match at 5-2 up, Petkovic blinked and found herself in some deep trouble as Mladenovic played like she had nothing to lose. In what was the longest game of the match which lasted 18 points and for around 10 minutes, Petkovic had to hold her nerves and save three break points before converting on her third match point, taking the win after 102 minutes. A first-round loss will cause the defending quarterfinalist Mladenovic to fall to 54th position at best.